Witchcraft and Wizardry is based on the Storytelling System found in the Chronicles of Darkness (also called "new" World of Darkness, 2nd Edition) games. This system is similar to the Storyteller System used by the classic World of Darkness game lines (e.g. Vampire: The Masquerade, Mage: The Ascension, etc.) and found on many MU*s. But there are significant differences. As the Storytelling System is copyrighted material, we cannot simply republish the system mechanics in their entirety here. However, there are two free documents you can download that will give you the basics. A Nightmare on Hill Manor is an adventure that contains a free "demo" of the original, 1st Edition Storytelling System. God-Machine Rules Update updates the rules significantly, bringing them much closer to the 2nd Edition Storytelling System found in Chronicles of Darkness. 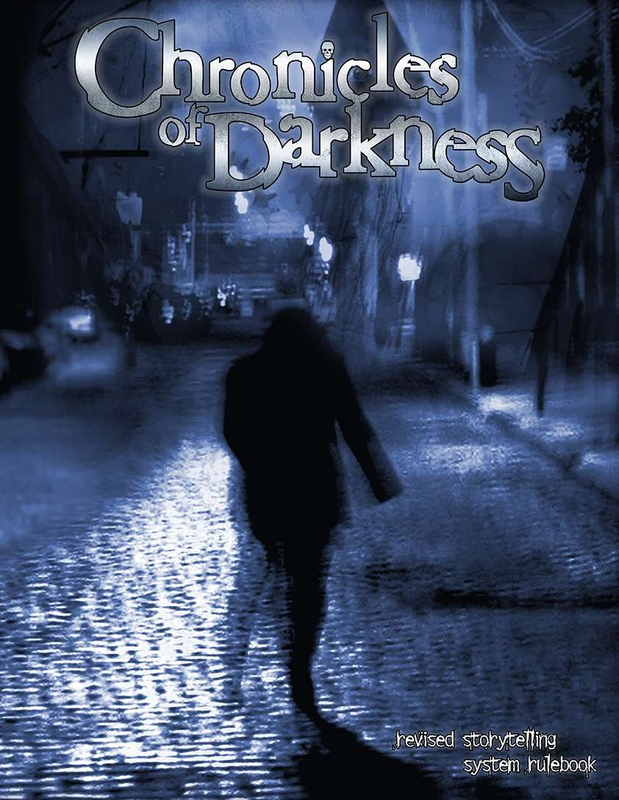 If you're willing to invest $15, you can purchase Chronicles of Darkness for the complete ruleset. This is a system-lite game, not intended for a lot of rolls to be made. Naturally, any time an act affects another character, that character's player has the right to ask for a roll. But the hope is that inconsequential rolls will be waived, allowing a scene to progress smoothly. As long as there are no objections from anyone involved in the scene, it is perfectly acceptable to just assume success or failure based on role-play. …the outcome of the attempted action is in question. In other words, if it's fairly certain that your character will succeed, don't waste time and break immersion with a roll. Likewise, if the outcome of the action doesn't really affect the scene beyond flavor, bringing the system into play doesn't serve much purpose. Some people like the random quality that dice bring, but remember that you are impacting others' immersion. Even failure doesn't have to be random. You can always choose to have your character try and fail if it will make the scene more interesting. The basic dice mechanic of the system is pretty simple. When called upon to make a roll, select the appropriate traits. Typically this will be an Attribute and a Skill. Add up the total number of dots (levels) you have in those traits, and roll that many dice. This is called your "dice pool". Every die in the pool that comes up 8 or higher is a "success". More successes yield better results. Five or more successes is considered an "extraordinary success". When the situation calls for a bonus or penalty to a roll, it will be expressed in terms of +X or –X, with X being the number of dice added to or subtracted from the dice pool. Turn — Roughly three seconds, or the amount of time needed for a character to perform a single action. Scene — The length of a scene can vary greatly. It is the time spent for a specific event to play out. Often, in a MU*, this will be analogous to the contents of a single log. If necessary, a system effect measured in scenes can be translated to an equivalent number of hours. Chapter — This term won't be used much in WiWi. When found in the descriptions of system effects, chapters can be translated to weeks. For example, an ability that can be used once per chapter will be available once per week. Story — Much like chapters, this term isn't all too relevant to the MUX. If found in the descriptions of system effects, a story can be translated to a month. Chronicle — This is the whole game. In the larger scope of Witchcraft and Wizardry, one might think of Dawn's Early Light as a single chronicle, while it's predecessor, The Age of Grindelwald, was another chronicle.